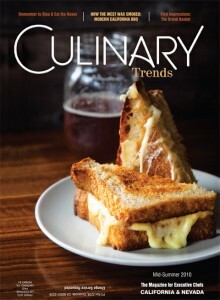 After patiently waiting a few weeks for the latest issue to go to print, I'm excited to finally share my latest Culinary Trends with the world! 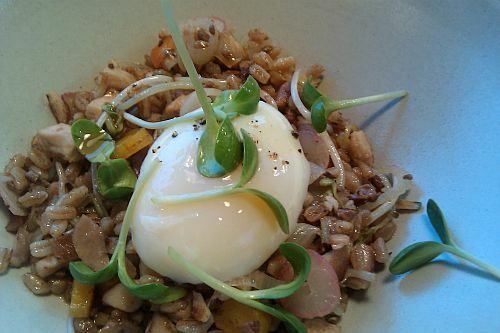 It's about the recent rise in popularity of one of the most ubiquitous ingredients out there - eggs. Knowing that selling the idea of eggs to chefs would be a difficult task, I ended up putting a lot of effort into this piece, and I hope you find the information as interesting as I did! 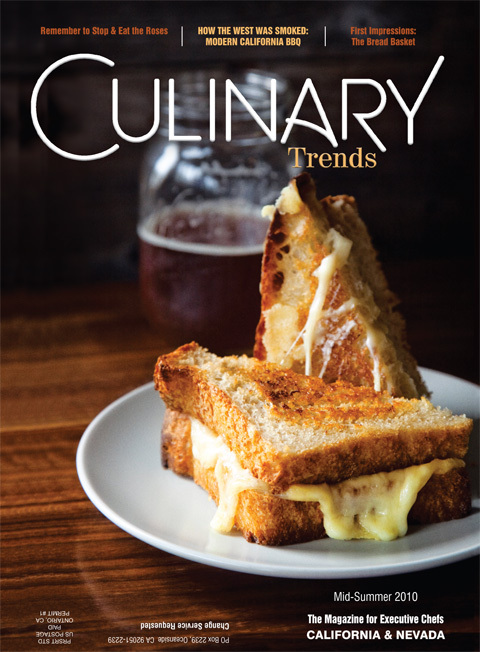 As if writing for my blog and Examiner wasn't enough, I recently took on another amazing project that I just realized I haven't shared with hardly anyone - writing for Culinary Trends Magazine! 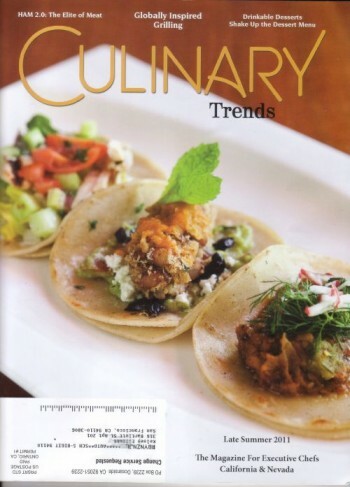 The company line is that it's a magazine for executive chefs, so my audience is industry professionals. 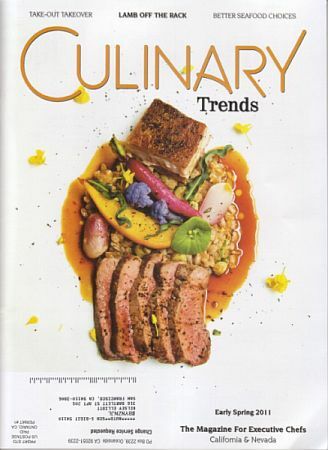 For me it's extra exciting/challenging because I have to make food interesting for people who are already in the business, a task which requires far more in-depth research than my usual reviews and commentaries on food and dining experiences. My first challenge was to comment on the current trend of using edible flowers in all sorts of cuisines - from Spanish to French to Californian, flowers have been popping up everywhere, and not just for their looks, but for their flavors. 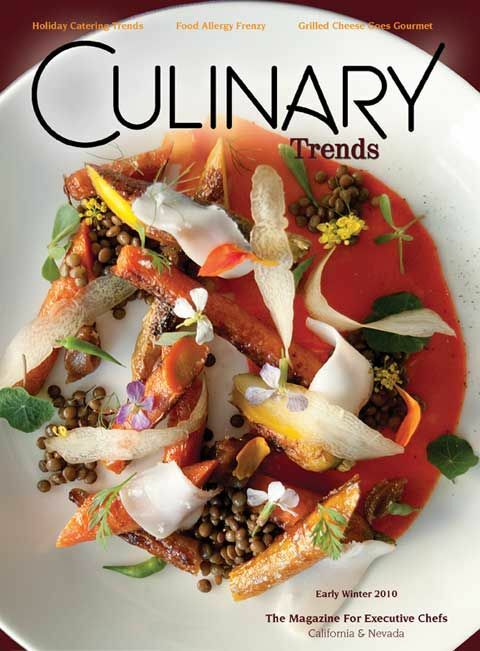 Writing this article was truly a treat for me, as I had the opportunity to talk to some truly amazing chefs, Daniel Patterson and Joshua Skenes to name a couple. Because the magazine is only available to subscribers, you wouldn't have had the chance to pick it up on the news stand. But, you can read my article by CLICKING HERE.